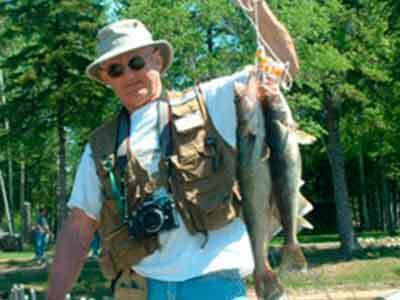 Experience world class fishing for walleye, northern pike, smallmouth bass, brook trout, whitefish, and perch. 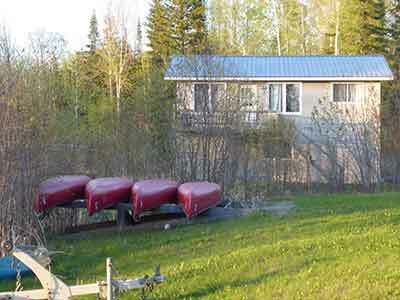 We are located on the shores of secluded Hay Bay within the beautiful Chapleau Game Preserve. We have good highway access from Sault Ste. 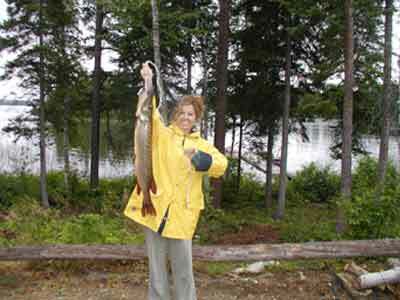 Marie, and fully equipped housekeeping cabins and RV sites. Our guests quickly become part of our extended family at Island View Camp. In addition to our cabins and campground we have a large building with a commercial kitchen that is suitable for hosting corporate events, workshops, or conferences. 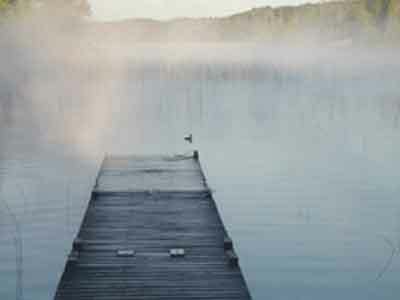 We welcome you to Island View Camp, where we can share our knowledge and enthusiasm about the great fishing here and the wonderful life on this land that we know so well. 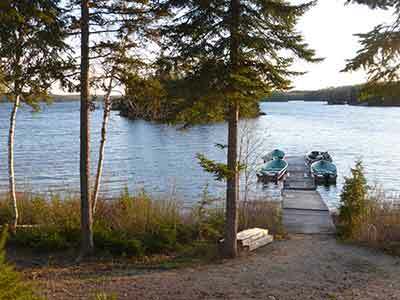 The Missanabie Cree welcome you to Island View Camp! 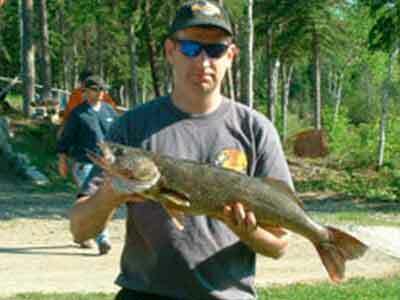 Island View Camp is a very special place for all of our Missanabie Cree First Nation. 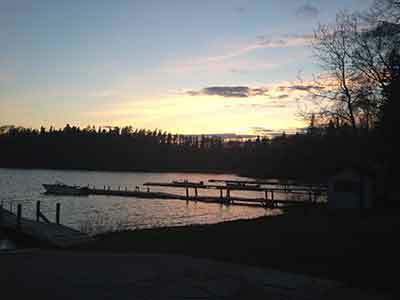 It is situated right in the heart of our ancestral lands surrounding Dog Lake, Missanabie Lake, and Wabatongushi Lake. 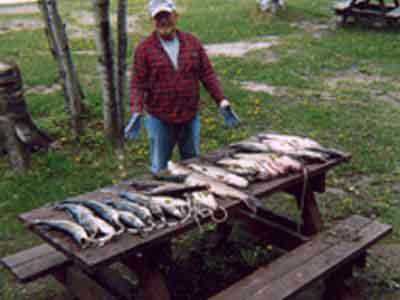 We have owned and operated Island View Camp since 1999, but we have been here since time immemorial, taking care of the land while the land provided for us with fish, animals, plants and more. These lands and waters are the core of our cultural, spiritual and economic wellbeing and we are its caretakers. As stewards of this land and natural environment, we know that human beings are part of the natural world and not separate from it. The land provides us with all that we need and its bounty is here for us to share and prosper. Together we have the responsibility to manage our land and natural resources conscientiously. Together we must ensure that our actions today enable future generations to continue to enjoy this way of life. 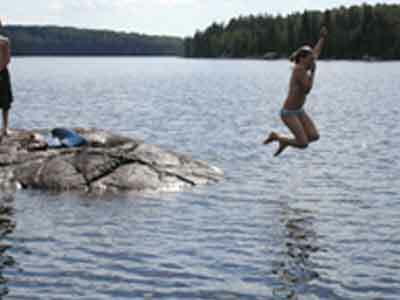 We welcome you to come and enjoy Island View Camp. 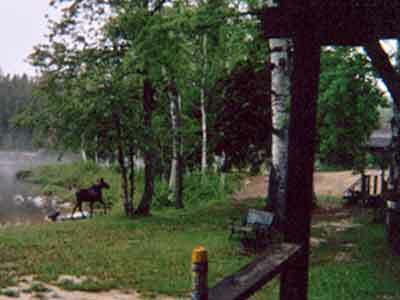 We’re glad to share Dog Lake and this area with you, and we’re happy to include you in the Island View Camp family.